Should you already have everything prepared, this Portuguese steak meal recipe will be easy to put together and will make a great delicious lunch or dinner. Season the steak with the chopped garlic, bay leaf, salt, pepper, a little white wine and put it aside for about an hour or two. Add some margarine in a frying pan and fry the steak. Fry the slice of ham in the frying pan where you fried the steak. 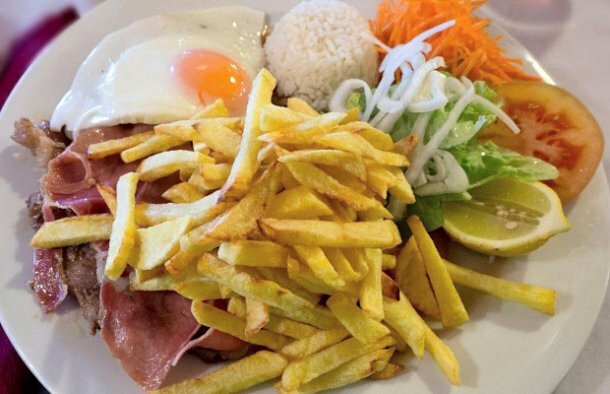 Place the steak on the serving plate, cover the steak with the ham and the fried egg and garnish with the fries, salad and rice. 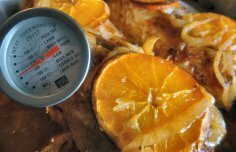 How to make Portuguese orange marinated roast pork loin. 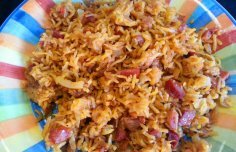 How to make Portuguese chouriço à bras. 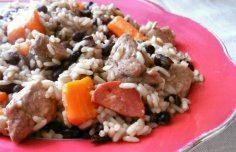 How to make Portuguese pork meat rice with black beans.